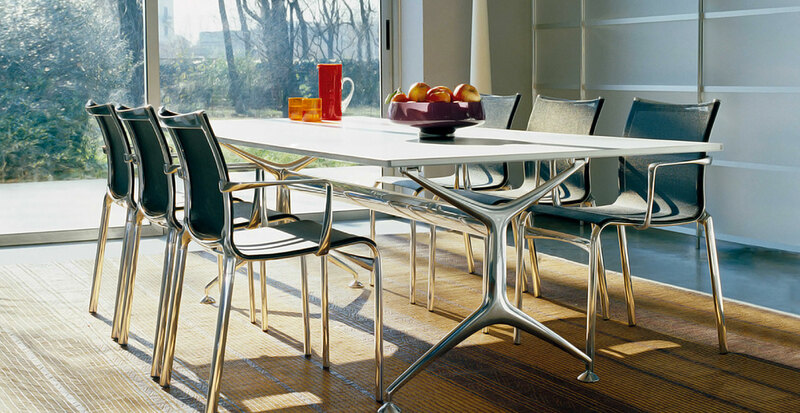 The frame collection is characterised by PVC covered polyester mesh available in many colour variants, with a structure in extruded aluminium and stove enamelled die casting components. Comprised of an array of products, each designed differently to combine comfort and function, frame is a successful collection which over the years has became an icon for other collections. 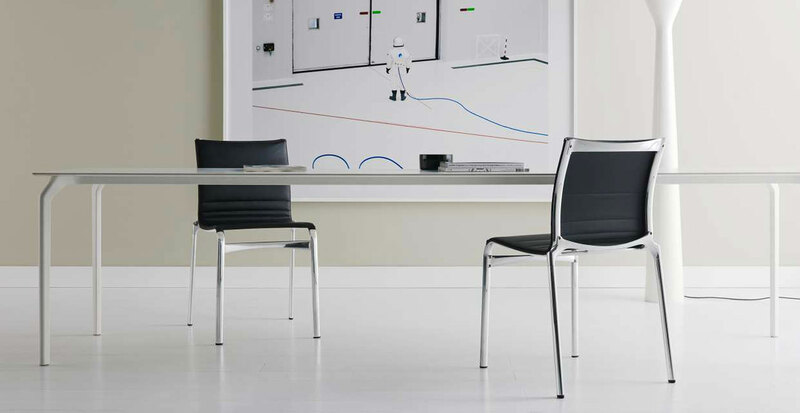 The products of the frame collection express a light but accurate lines represented by a selection of comfortable chairs varying in shapes and sizes such as highframe, bigframe and frame XL stacking chairs available with or without armrests. The leather and the fabric versions further enhance the collection as an alternative to the PVC covered polyester mesh choice for a sober and informal style. The frame chairs, thanks to their lightness and stackability, can be transferred with elegance from the more private dimension of the home and office to the public one and open environments. The polyester mesh coated with PVC, on a structure made of extruded aluminium profile, stove enamelled, polished, or chromed, with die-cast aluminium elements, is available in many colours. 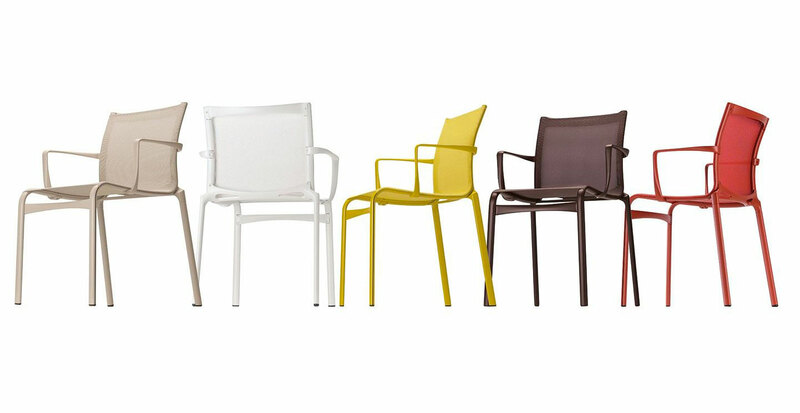 Amongst numerous versions in different colours, a range of colours all in melange versions are distinguished: green, beige and orange. 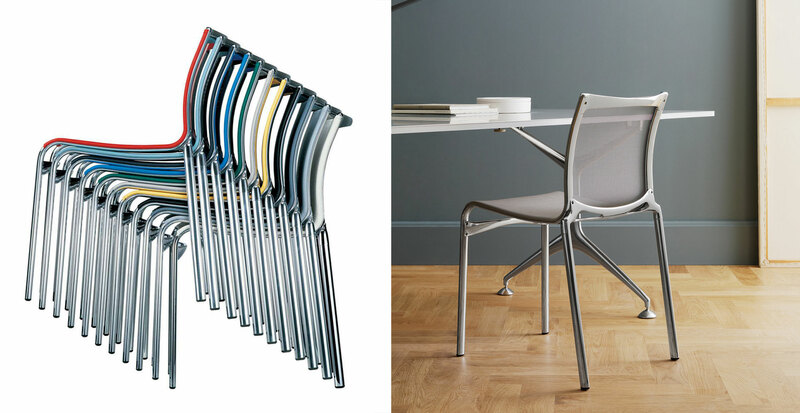 In different sizes the stacking chairs highframe, bigframe and frame XL are available with stove enamelled extruded aluminium profile in 5 new, contemporary colours; coral red, aubergine, cedar, sand, ice. PVC covered polyester mesh in the same colours or in white matches the aluminium structure and make it more relevant. GEROSA DESIGN is a main reference of Alias on the national territory (Como, Milan, Varese, Lecco and Monza and Brianza…) and internationally in all European Union, Switzerland, United States of America, Asia (Taiwan, Hong Kong, Singapore, Japan, China, Seoul South Korea), and not only… for the whole Alias collection.